This is my first map for CS:GO which I am calling de_princess! It is still quite early on in terms of theme but it is loosely based on the medieval German village Rottenburg am Neckar. You can see this inspiration at CT Spawn with the buildings. Overall, I am not too attached to the theme and will be prepared to change it if it will be easier for me to complete as although I believe I am alright at detailing environments, I know I'm not good at making buildings/houses. Please, play the map and tell me what you think! There are more images on the Steam Workshop page. Looks like there are allot of flat right angle turns. Try adding some more interesting geometry, including height variations. I am abit shy to say this but I have a brush on you for a very long time now . I have removed the path in the top left as it was pretty much useless but I believe that the other 2 pathways you showed can be useful at the start of the round and end of the round. Maybe my mind will change in time, but I feel that for the most part they don't hinder gameplay too much. Yes there are a lot of flat right angle turns or interesting geometry and not a lot of height variation, just like Cache. 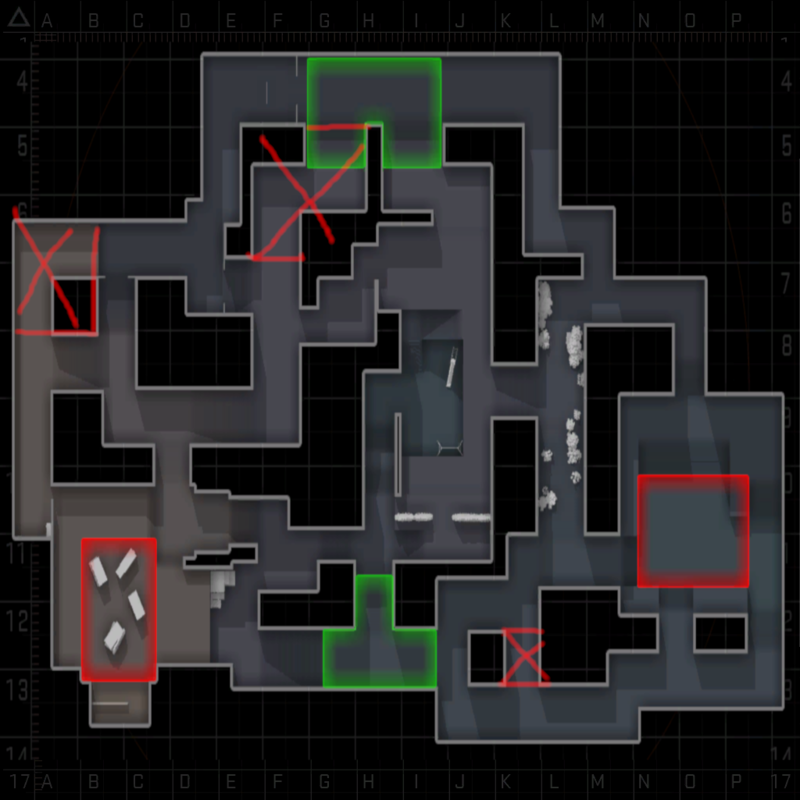 It does help players learn the map but if you have a map that has a lot of tight angles and indoor sections, your chokepoints are all doomed to be L-shaped. I'm not sure if my map is like that yet but if it does I will want to fix it.